January was an interesting month with SEO traffic going up and down like crazy. Looks like the 18 new articles I wrote in December had an effect – although the effect was more likely on overall domain authority because the actual traffic to the new articles doesn’t account for the traffic spike. In January I wrote a total of 11 new articles and updated 1 older one; 4 of these are part of my new “Weekly Review” series. Let’s start by looking at the overall traffic – which has seen a huge 76% spike from 39,283 page views in December to 69,112 in January. 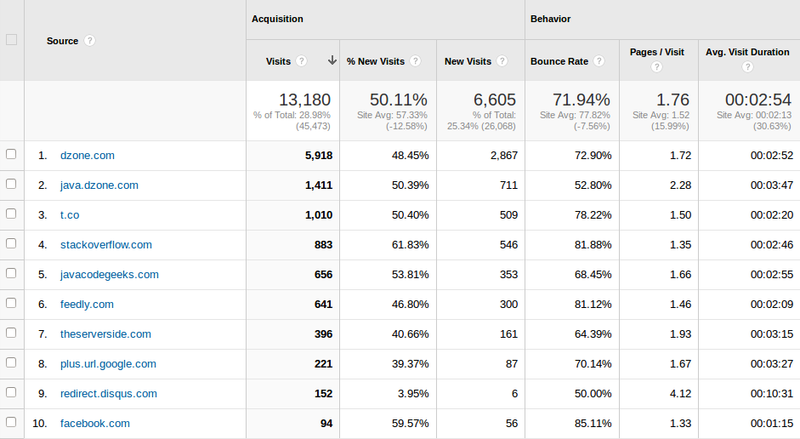 So overall, this has been a good month in terms of traffic. 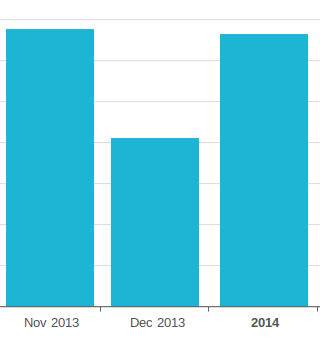 The increase in SEO traffic is big as well – 45% spike from 24,377 views in December to 35,302 in January! The main reason for this is the infusion of new content – the 18 articles I wrote in December and 11 new ones in January. What is important is that not much search traffic is actually going to these new articles – instead, my older pillar articles have increased their ranking, probably because of an increase in domain authority. A few interesting traffic increases happening here: dzone, Twitter and Feedly have all seen spikes, mostly due to the new content, so no real unexpected changes. So – my list has grown with 332 new subscribers in January, up from the 205 I had in December. What’s more, I pulled the trigger and moved to Aweber in the last few days of January – so 84 new subscribers have gone directly there – for a total of 416 new subscribers for the full month of January (a new high for my blog). One clear takeaway for this month is that Google really likes new content – and a ~50% spike in SEO traffic is proof of that fact. As for the future – I have big plans – starting with a redesign rolling out in early March and using new eBooks as lead magnets – in a more targeted way.